The ZooAmerica North American Wildlife Park is Hershey's only zoo in the area. While it isn't as large as big city zoos, it is quite charming and makes for a fun afternoon with the family. 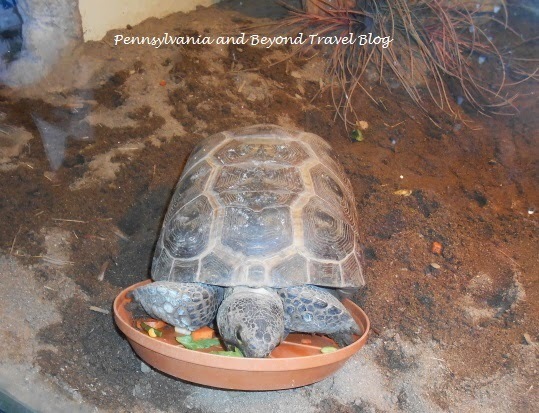 The zoo is situated on 11 acres which is beautifully landscaped and connected to Hersheypark. 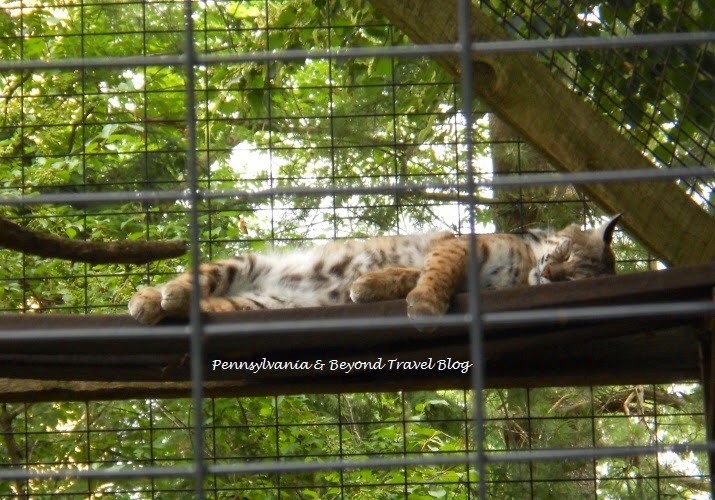 If you are visiting Hersheypark and visit ZooAmerica...your admission into the zoo is free (on the same day). If you want to just visit the wildlife park then admission is $11.00 for adults, $9.00 for children ages 3 and over. Children under the age of 3 are free with a paying adult. When we first walked in we entered the admission entrance building and paid for our admission and obtained a free wildlife park map. I highly suggest you grab the map so you can find your way around, although the zoo has great signage to help direct you. There are public restrooms in this building, so use them before you enter the zoo. 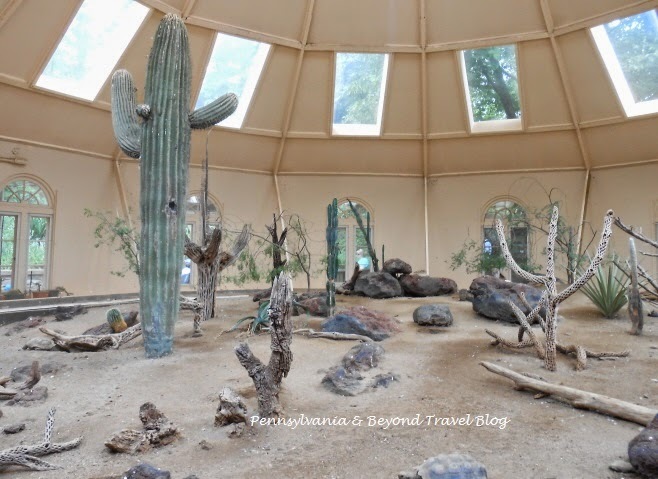 Once you are in the zoo...you will walk pathways and walkways around all of the animal exhibits. We visited the Southern Swamps area first which is an indoor area with exhibits. We saw a cottonmouth snake, roseabe spoonbill (bird), eastern diamondback rattlesnake, eastern indigo snake, a gopher tortoise, pygmy rattlesnake, corn snake, barred owl, Florida gar, 2 American alligators and an alligator snapping turtle that was quite huge!!! The next area that we visited was called the Great Southwest and I really loved this area. I spent a lot of time as a child living in Arizona and this brought back a lot of memories for me. We saw a thick-billed parrot, several types of lizards, dessert box turtle, gila monster, roadrunners, a quail, burrowing owl, desert kingsnake, Arizona mountain kingsnake, vampire bats, a spotted skunk, gopher snake, Western diamondback rattlesnake, rosy boa (snake), a ferret, ocelot (nice-size cat), swift fox, ringtail and a coati which I thought was adorable! We then headed over to the Eastern Woodlands area to see the red-tailed hawk, the barn owl, the bobcat, the river otters, Eastern screech owl, the black bear, wild turkey and the white-tailed deer. These exhibits are kind of spread out and not all grouped in a row. My favorite two in this area to see was the beautiful bobcat who was taking a nap and the river otters who were playing near the water. Once we were done there we walked over to the Big Sky Country area to see the black-billed magpie, black-tailed prairie dogs, the American elk, the mountain lion (he was sleeping so we didn't see him), the long-eared owl, the sandhill crane, the turkey vulture and the pronghorn. 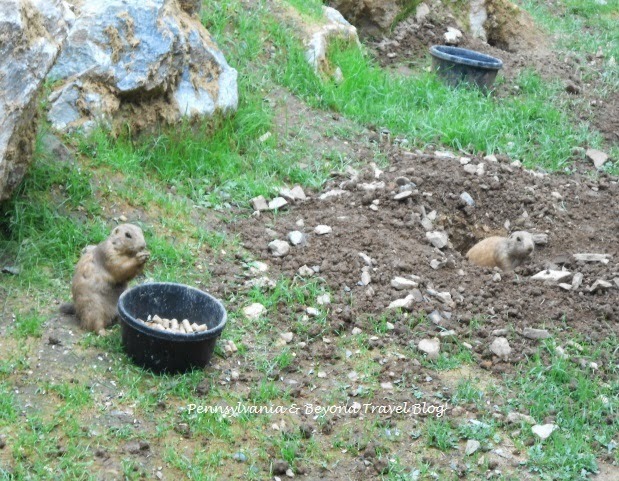 In this section my favorites for the adorable prairie dogs!!! Next up was the Northlands area of the zoo. In this area you can view the snowy owl, Peregrine falcon, the gray wolf, the two bald eagles, the porcupine, American marten and the Canada lynx (also known as the Canadian lynx). 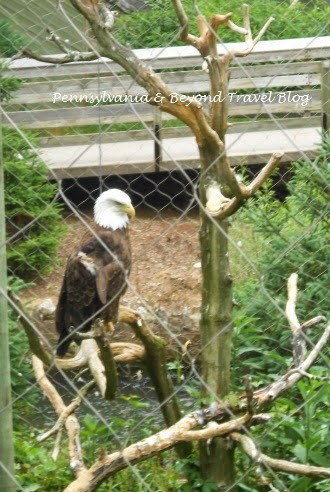 The lynx were sleeping so we didn't see them so in this section of the zoo I would say my favorite was the beautiful bald eagles! 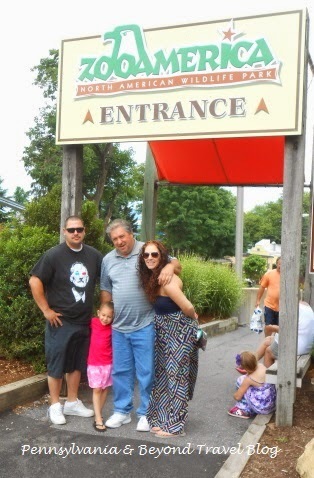 On the day that we visited, we took along our 5 year old grand daughter, adult daughter & her fiance and had a great time! 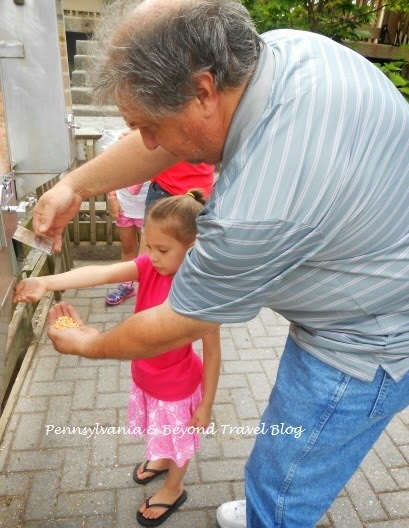 My little grand daughter loved feeding the ducks (you pay .25 cents for a handful of corn) and she loved the black bear exhibit which has a small pool/pond that the bears play in and guess what? There is also fish in there and she had a fabulous time looking at that through the window. 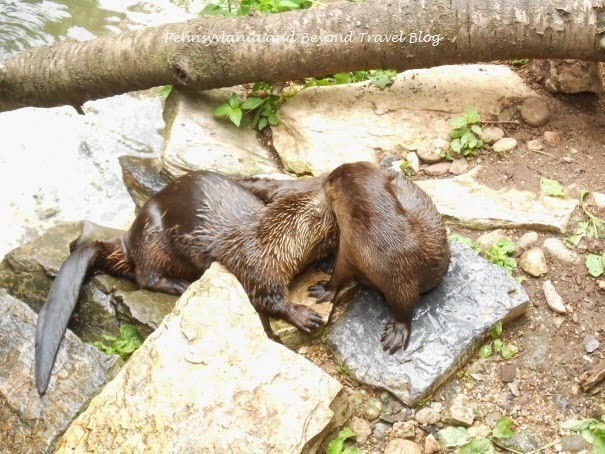 The ZooAmerica - North American Wildlife Park is open year round but their hours do vary according to the season. You will want to check out their web site before you go to see their hours of operation and if they have any special events going on at that time. Have fun!